The location was perfect for getting to and from the slopes on skis. 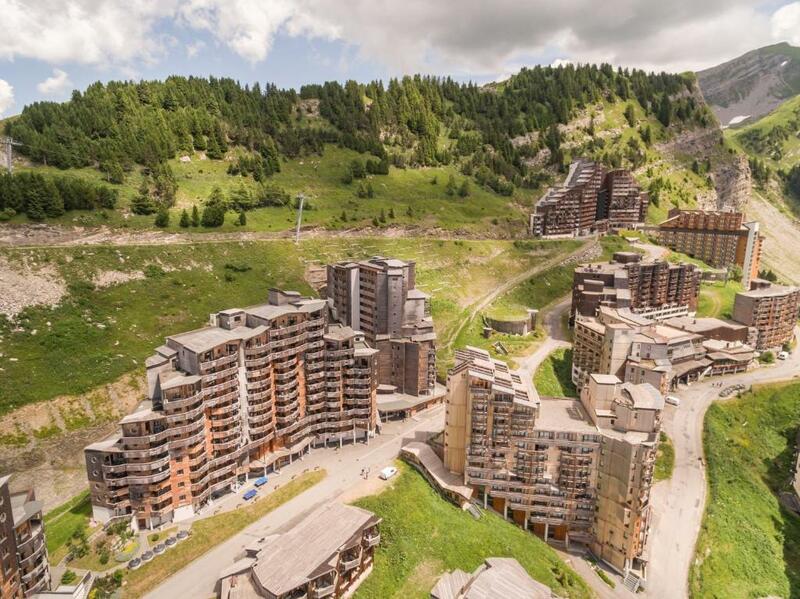 The location of Electra is very good in Avoriaz, above the main town square so quiet but close to the stairwells/escalators so getting to and from shops & restaurants is fine. Ski in, skin out is excellent. Our accommodation was pleasant, you could ski in ski out, order fresh bakery the night before. The location of our accommodation was great, just enough walking for kids to go to shops and restaurants, it was conveniently located close to public passage with escalators going up and stairs going down. You could pay for ski passes in the machine in the hotel next door. Avoriaz ski resort was fantastic, views were spectacular, you could do as little or as much as you wanted. So many activities for ski and non-ski people. We tried Aquariaz (swimming pool), which was pricey but a nice activity to do. In Avoriaz there are plenty of restaurants, bars and cafes, again there are pricey but the service and quality of food was excellent. There is one supermarket in centre of Avoriaz. Spacious apartment with a nice open plan kitchen / living room with enough room for the kids to play around. 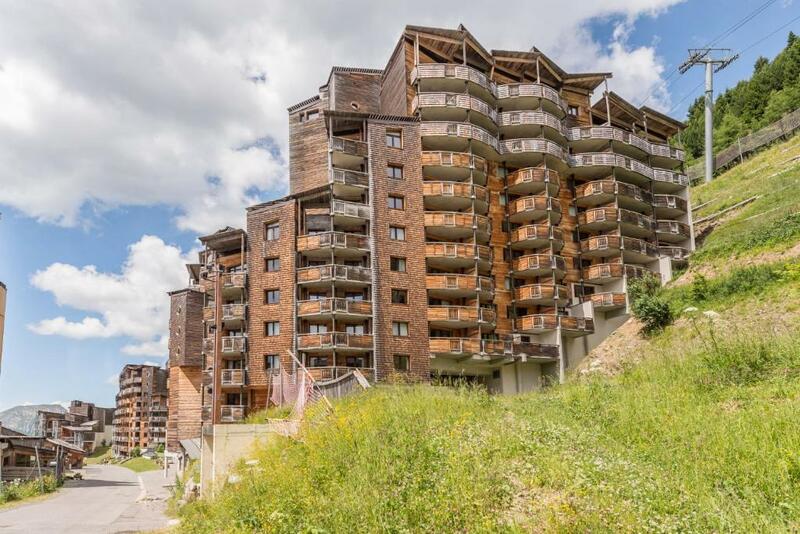 Good location a short walk from the centre with ski in, ski out convenience. 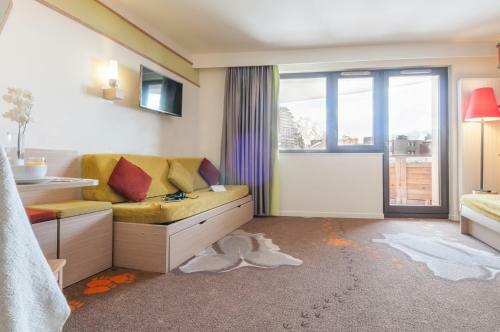 Excellent location - ski in - ski out from the accommodation, next to the stairs leading down into the city centre which was super easy to do with 2 kids. Great reception, ski location next door. Great breakfast system, ordering fresh goodies from the local bakery the night before and collecting them from reception, best pain au raisin ever had! One of our best sellers in Avoriaz! 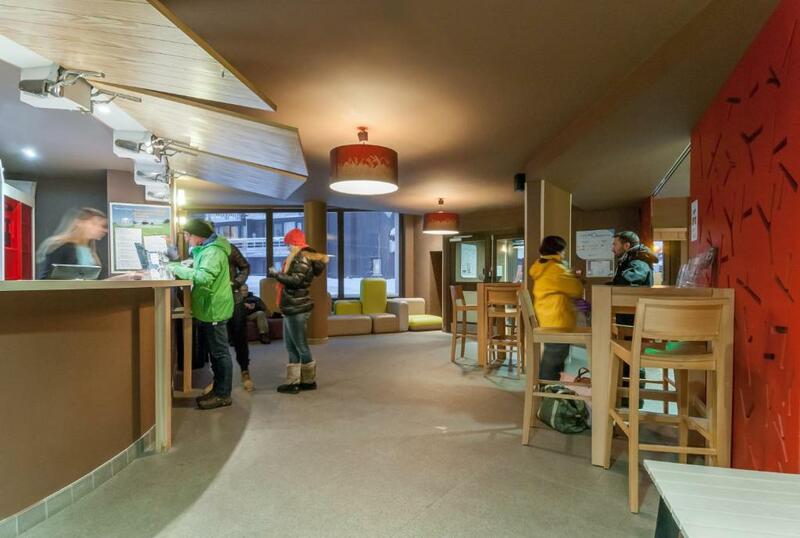 Résidence Pierre & Vacances Electra is 4.5 mi from Les Gets Ski Resort and 15 mi from Samoëns. 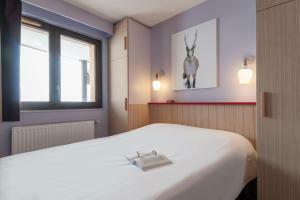 With direct access to the ski slopes and the cable car, it offers self-catering accommodations. Upon prior reservation and depending on the date of the stay, guests can benefit from reduced rates for ski passes and equipment rental. 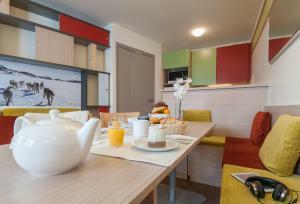 All of the apartments at Pierre & Vacances Electra have balconies, some with views of the mountains. Additional facilities include a private bathroom and a TV with national and international channels. 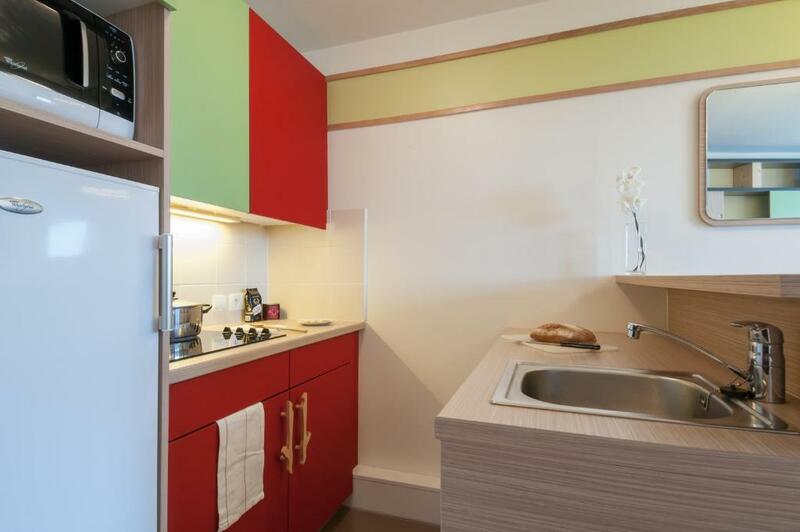 Meals can be prepared in the kitchen with a microwave, dishwasher and coffee machine. Grocery delivery services are available upon request at the reception, during winter months. Cluses and Marignier Train Station are both 28 and 19 mi away. Parking is available at the resort upon reservation. L'Aquariaz Mountain Spa is located nearby and offers over 6562 ft² of swimming pools and slides. There is also a climbing wall, outdoor hot tub with valley views and a gently-flowing river. When would you like to stay at Résidence Pierre & Vacances Electra? This apartment features a living room, a bedroom and a bathroom with a bath or shower. This apartment features a living room, a bedroom, a sleeping alcove, an open-plan kitchenette and a bathroom with a bath or shower. Located in the most attractive regions in seaside, mountain and countryside resorts, Pierre & Vacances residences offer fully-equiped apartments with high quality facilities. The Villages are equipped with heated water parks, sports facilities, courses, children’s clubs and shops. House Rules Résidence Pierre & Vacances Electra takes special requests – add in the next step! Résidence Pierre &amp; Vacances Electra accepts these cards and reserves the right to temporarily hold an amount prior to arrival. Résidence Pierre & Vacances Electra accepts these cards and reserves the right to temporarily hold an amount prior to arrival. Prices include: accommodations, all taxes and charges (except local tax), TV, bed linen, WiFi basic access (to 5 devices for navigate, reading e-mail and research), towels, 1 cleaning kit (to be left in the apartment), end-of-stay cleaning (except the kitchen area and the washing up). A baby kit, suitable for children under 2 years weighing less than 15 kg can be requested at an extra charge. The kit includes: 1 cot, 1 high chair. Subject to availability. Parking is available at the entrance of the resort since the entire resort is in a pedestrian area. Please contact the hotel to book your parking space. A damage deposit of EUR 500 is required on arrival. That's about 565.12USD. This will be collected by credit card. You should be reimbursed on check-out. Your deposit will be refunded in full by credit card, subject to an inspection of the property. Being in a hotel full of drunken students. Noisy party's, door banging, shouting etc went on until the early hours. Accosted by drunken students in the public areas who harassed us along with our young children. Litter thrown from the balconies. Only one lift working which was full of students and their skis. They kept the lift waiting on floors whilst they spoke with friends and so at one point we waited 20 minutes to get a lift. Absolutely disgusting! Location and size of room. The beds weren’t very comfy, struggled to sleep a few times. Not much room with 4 people. I had to pay an extra ten euros on arrival which I was not aware of or happy about ! There are no facilities at the block, so very little for parents with young children. Add a games room, cafe or even outdoor hottubs so guests can do something without the need to go into town and spend money. For the price, there should be more facilities. The accommodation was tiny for 5 people, considering how much ski clothes we had. There was no double bed only 2 singles, we had to make our own beds with bedsheets etc which for the price we paid was strange. There was double duvet but only single bed sheets so for the first night we had to sleep without bed sheet cover which was unpleasant. The ski lockers were super tiny for 5 people, the smallest I have ever seen. We had to pile up everything on top and once opened everything was falling out. Also too many people were sharing ski rooms and it was impossible to get through. No hairdryer in the room, which again was not a nice surprise. There was no communal area to relax. The room is not lit enough at night. Reception hours are not enough. Internet does not always work. Kitchen utensils could have been cleaner. There was no exhaust in the kitchen and as it is located in the living room/sleeping area, it proved to be a bit complicated to have fresh air all the time. Lifts seemed to take ages to come when called.